Please click on the links below to read and/or print the latest edition of the "News & Views" Department Letter. 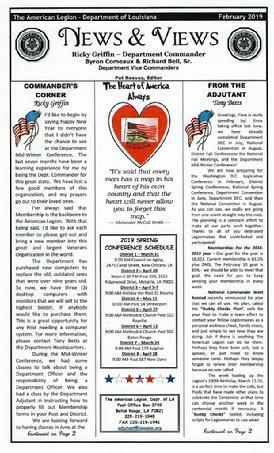 The newsletter was created as a legal size document and will be best printed on legal size paper (8 1/2 x 14). Please be sure to set your printer to print the page at the size the document was created for maximum quality and size.